Grain uses every sound you’ve already got to make every sound you’d ever want. 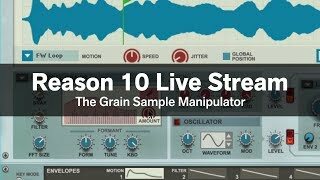 Granular synthesis takes an entirely unique approach to sound generation by splicing and dicing samples into tiny grains which can be rearranged, repeated, stretched, partialized, and reconstructed to form entirely new sounds no other synthesis technology can approach. For shimmering evolving pads… for experimental juggling and glitch effects… for mood-setting sound design, Grain is peerless. But much more than that, Grain is fun! 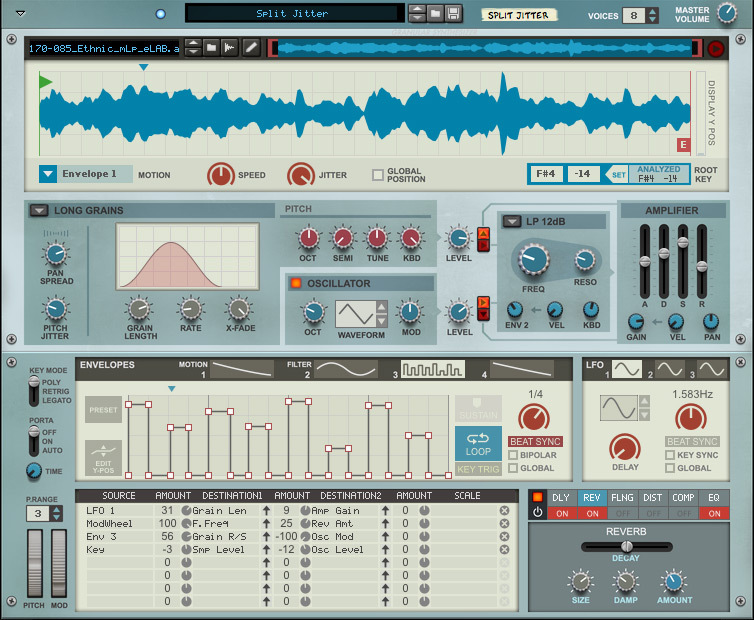 The heart of Grain is its sample window where sounds can be loaded, cropped, transposed, and prepped for the advanced synthesis which follows below. There’s simple tape-style playback where Grain can manipulate pitch, playback direction, and speed of a sample. If you love the sound of tape stops and speed ramps, get ready to try even more experimental styles of playback manipulation. From there however, Grain moves into truly granular territory by extracting waveform grains from your samples to be pieced back together in entirely new ways of time-independent and pitch agnostic reimagining. By analyzing the frequencies and overtones that make up each grain, the Spectral Grains synthesis technique moves your samples into the world of additive synthesis by letting your manipulate, filter, and stretch the harmonic components inside your sounds. 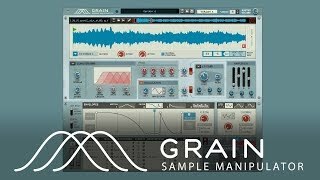 Grain’s oscillator algorithm extracts and converts grains into more classic subtractive synthesis oscillators but ones which retain the timbre and character of your source samples. Going deep with Grain means having fun, experimenting with Grain’s powerful envelope section for customized playback movements and hand-drawn filter modulation. The built in Modulation Matrix is where you can program any conceivable control of Grain’s front panel. We can explain grain to your brain, but really you’ve got to hear it.